You’ll have to give a short introduction about yourself several times when you first come to Japan. This may or may not include some very important people (like the boss at your local board of education), local politicians, and even the press. You will definitely have to give a speech in front of the staff at your school, as well as to all of the students. You could do this in English of course, but people will love it if they see you making an effort to speak some Japanese. If you can’t speak any Japanese, just remember a few key phrases before going to Japan. 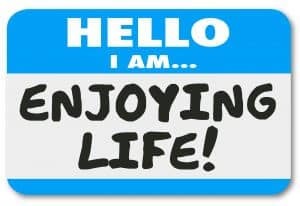 Things like your name, where are you from, how old you are, what your interests are, etc. As stated above, you will be giving your self-introduction a lot in your first 1 to 2 months of working for JET. However, you need to take your self-introduction to the next level. You need to prepare a self-introduction lesson for each of your classes. It is very likely that the teacher you will work with will want you to do a self-introduction lesson for your first class. The students are probably looking forward to hearing more about you as well. The worst case scenario would be the teacher expecting you to do the whole 50 minutes. ASSUME THIS WILL BE THE CASE. When I first when to elementary school, the teacher escorted me to my very first class and told me to stand in the front of the classroom. Then she said, “Okay, start” and went to the back of the class and just stood there. Are you f@%#ing kidding me? So here I am, with no formal teaching experience,left hanging in my very first class in Japan. Some easy to prepare activities are a bingo game using information about you, creating a PowerPoint slideshow (if your school has the technology…some schools don’t) playing childhood games like heads-up 7-up, etc. If you are in a bind and have nothing else planned, you can give the students a quiz using questions about you. Break them up into groups, and ask them SIMPLE questions about yourself. Give them multiple choice answers if they have a hard time. Then give points to the group that gets the best answer. If you still have time teach them simple phrases like “Hello, my name is. Nice to meet you” and then make everyone go around the classroom and introduce themselves. Thank goodness I made a photo book and brought it to Japan. I highly recommend that you make a photo book to bring to Japan with you. A photo book is a great way to show people all about your life at home and what your interests are. It took me a while to make this book on Shutterfly, but it’s really nice. I have gotten a LOT of mileage out of this book. 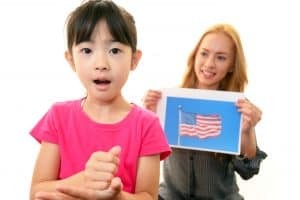 I have used it in all of my introductions lessons, adult classes, special needs classes, with Japanese language partners, teachers at work, and my even my bosses at the local Board of Education. 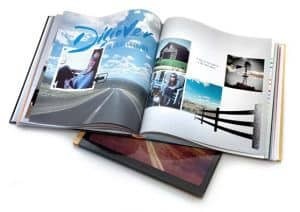 If you are interested in making a photo book, check this out: How to make your very own photo book. The more Japanese you know, the better the quality of life will be in Japan. You’ll be able to communicate with other teachers, your students, and have more freedom and opportunity in Japan. If you have never studied Japanese before, get on it. 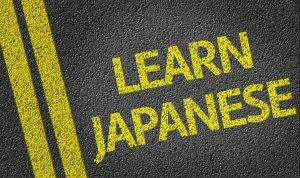 At the very least, learn how to do a self-introduction, basic grammar and phrases, numbers, and how to read and write hiragana and katakana. You can probably do all of this in a week, easily. If you can do all of this, you will have a much easier time in Japan. Definitely learn as much as you can before you go though (as well as learning while you are in Japan). You already know exactly what you should bring to Japan from home…well everything except for omiyage (gift or souvenir from home). 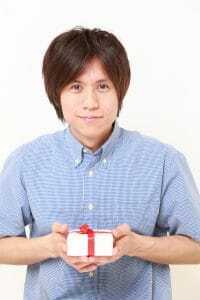 It would be a good idea to bring some small gifts to give people that you meet in Japan. Giving omiyage to people like your principal, vice principal, caretaker, and people help you out is the “lube” that makes the wheels of Japan work smoothly. Specialties from your hometown that can’t be bought in Japan will always make a great gift. Hell, even if it’s sold in Japan, it’s the thought that counts. You can buy Canadian maple syrup all over Japan, but if you are from Canada, giving that as a gift would be appreciated. 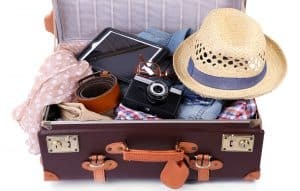 If you have room in your suitcase to bring things for your students, that is cool too. If you can get things like stickers, key chains, pencils, pens, postcards, or even maps that represent your hometown/country, your students will love it. I had a point system where at the end of the year the students with the most points won a prize. The other students were entered in a random drawing for presents too. Just remember that while some schools allow you to give food items to the students, most schools don’t allow this. You have probably waited a long time to get into JET and go to Japan. Don’t get so excited about going to Japan that you forget about spending quality time with your loved ones. You should also enjoy the hell out of your hometown. Japan is probably very different that what you’re used to…in both good and bad ways. It’s easy to get homesick after being in Japan for a while. If you have been to Japan a lot for vacation or even studied abroad there, you’ll find it’s a completely different experience working for the Japanese system. So have a blast back home and spend some quality time with the closest people in your life. One of the awesome things about JET is that they give you a place to live. The rent varies from person to person, but still, you know you’ll have a decent place to live. Some of these places are also furnished, some are not. You might have a predecessor that will sell you things. If not, you will have to buy everything new on your own. The general rule is that you should pack as light as possible, and buy whatever you can in Japan. If you live in a remote town with little to no stores, bring lots of clothes. If you are in a town or city, you can buy things like underwear, socks, undershirts, etc. easily. Bring things you can’t live without. For Americans, it is very difficult to find these pudding and jello mixes, whole wheat products, and brand-name candies (Japan has Kit-Kats and Snickers). For Australians, you can buy things like vegemite in specialty food stores, although is pricy. Tim-Tams are sold in many places, including supermarkets all over Japan. Western “health foods” are rare in Japan. Things like quinoa, chia seeds, coconut oil, and almond butter are available but very expensive in Japan. Antiperspirant, deodorant, your specific brand of shampoo, and toiletries. Over-the-counter medicine in Japan might be weak compared to what you are used to back home. So you may want stock up. Just remember that drugs that are legal back in your country might be illegal in Japan. For example, Nyquil and Vicks inhalers are illegal in Japan. Electric plug adapters and voltage converters. Japan is 100 volts, the USA is 120 volts, and Central Europe and many other countries are 230 volts. For Americans, you will probably be safe without a converter since most electronics have a range of volts that it can work with. However, the plugs are two-prong in Japan, so you may need to get an adapter if you have electronics with a 3-prong plug. You can buy this in Japan but depending on where you live, it might be hard to find. Congratulations on your JET placement and have lots of fun! If you have any questions or comments, please leave them below and I’ll get back to you.